Dvorak, the Father of American Music? I will bet you would never come up with Antonin Dvorak as the real Father of American Music. You might guess George Gershwin, or Stephen Foster, who died at the age of 37 with 38 cents to his name. My guess would have been Chuck Berry or Buddy Holly. Antonin Leopold Dvorak (dvorr-zhak) was a Czech composer of romantic music. His most famous works are his New World Symphony, the Slavonic Dances, “American” String Quartet, and Cello Concerto in B Minor. And for your edification, I thought there was a “z” in his name for the longest time! 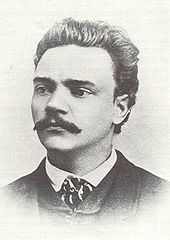 Fast forward to his arrival in the United States where he became director of the National Conservatory of Music in New York City in 1892-1895. He was paid the rather handsome sum of $15,000, the result of American philanthropist, Jeanette Thurber. He felt his goal in America was to discover “American music”. He firmly believe that Native American and African-American music should be the foundation for the growth of American music. He believed that Americans would find their national musical style through these two cultures (similar to Gershwin). He met Harry Burleigh, a pupil of his, and one of the earliest of African-American composers. Burleigh introduced Dvorak to traditional American spirituals at Dvorak’s request. In 1893, Dvorak wrote his Symphony No. 9, “From the New World”. He even took his family to Spillville, Iowa one summer to visit cousins who lived in the Czech speaking community. While in Iowa, he composed his “String Quartet in F” (the “American”), and his “String Quintet in E Flat”. In 1895, he wrote his Cello Concerto in B minor, about the time his recognition in Europe was increasing. So, combined with salary problems with Mrs. Thurber, and his honorary membership in Gesellschaft der Musikfreunde in Vienna, Dvorak decided to return to Bohemia. His New York home at 327 East 17th Street was demolished to make way for Beth Israel Medical Center. During his final years, he composed mainly opera and chamber music. He also became director of the Conservatory in Prague until his death in 1904 from heart disease. His nine symphonies follows the classical models that Beethoven would have recognized. But he also developed the symphonic poem form and often borrowed from Czech folk music. His ideas carried over to his work in the United States. As a result, his symphonic poems are among his most original symphonic works. He output of chamber music was equally impressive with over 40 works for ensembles with strings. Among his most famous students: Harry Burleigh, Will Marion Cook, William Arms Fisher, Rubin Goldmark (who taught Copeland and Gershwin), Oskar Nedbal, Vitezslav Novak, Harry Rowe Shelley (who taught Ives), and Joseph Suk (his son in law). As to why he is not more highly recognized and honored in the United States is just beyond me. I guess he was just ahead of his time. Tonight (Sunday evening), is the San Francisco Symphony debut of Arabella Steinbacher on the violin, playing Mozart’s Concerto No. 4 in D major for Violin and Orchestra, K. 218. Mozart primarily played the piano, but also was a renown violinist. An authority, no less than his father, Leopold Mozart, described him as the first violinist in all of Europe. After the 1770s, he primarily played the viola in chamber music with his friends. Truth be known, I skipped the Bach presentation last week, as his Mass in B minor is not my cup of tea, as the Shogun once said. I am certain J.S. Bach will forgive me. And I was too tired to BART into the city for last night’s concert. Shame on me! I highly doubt if I can talk Mike into a classical concert. But I may just go tonight or tomorrow night, since one of the small concert halls is walking distance. So, does anyone out there really know how to pronounce his name? He is a national hero here. He has his own museum, a Baroque summer house built in 1720. Everything is old here, but his music is rather timeless, right Ludwig?